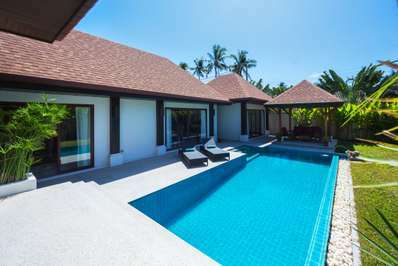 Eats & Retreats features a curated portfolio of Rawai beach private luxury villas & vacation rentals to rent for individuals, couples, friends, families & large group holidays. We work directly with property owners to guarantee the best price. We also provide a book-now service with a 72 hour free cancellation period. 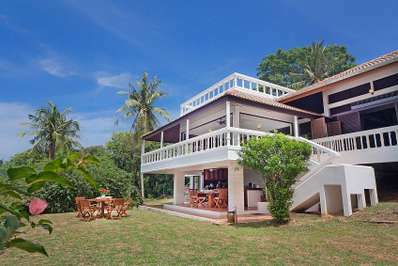 Located near the beach in Rawai beach, Phuket. Villa Natuna is a contemporary villa in Thailand. 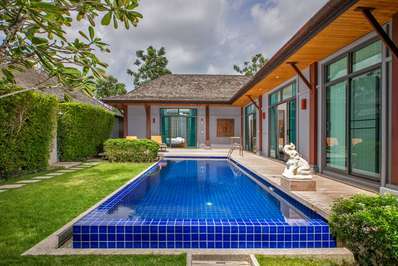 Located near the beach in Rawai beach, Phuket. Villa Hihiria is a balinese villa in Thailand. 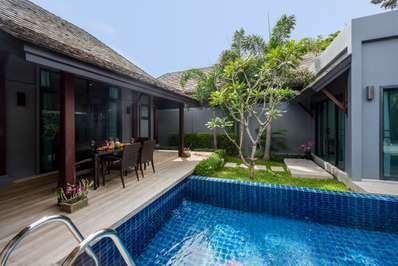 Located near the beach in Rawai beach, Phuket. 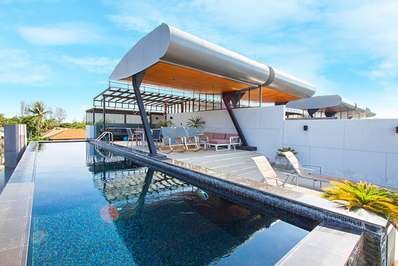 Villa Iorangi is a contemporary villa in Thailand. You won't find much information about Rawai Beach in the guidebooks or on the internet. 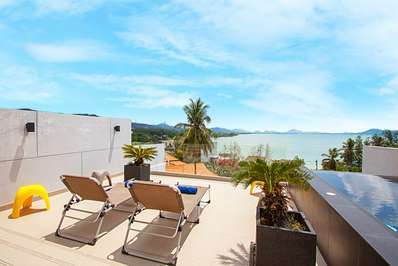 That's because it's one of Phuket's little hideaways for the residents and Thai tourists. Rawai Beach is popular with locals Thais and expats who come to enjoy view of the offshore islands and taste some great local seafood either in one of the low key beach side restaurants or even a picnic on the esplanade with the BBQ stalls under the shadow of the line of Casuarina trees bordering the beach. You can hardly have it more local than in Rawai. No high rise, no McDonalds, no Starbucks and hardly a 7/11! The beach is busy wit long tails and speed boat who ferry the tourists for the daily activity tours to Koh Hae and Koh Lone and Koh Racha. Promthep Cape and its viewpoint (which is one of the most famous pictures of Phuket) separate Rawai Beach from Nai Harn Beach. The ancient life still remains in the form of a 'sea gypsies' village near the cape. Formerly a nomadic fishing minority, this community has now settled for the better on Phuket and in other area in Phang Nga. When wandering on the small roads, you will also notice frequently locals still tending the rubber, the coconut plantations and the freshly caught fish sold from tables at the side of the road. 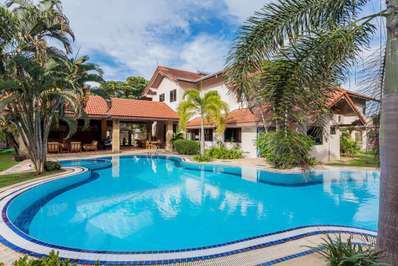 Most if not all villas and apartment are a little behind the scene but within a very short distance of the beach and the restaurants and local beach bars which are good meeting point to experience the local life of long term residents. There are only a few other accommodation options close by (such as the Evason Resort, just to the east of Rawai). What you can find there in profusion are small beachside restaurants with foot-high tables on the beach, mostly no more than shacks selling grilled fish, crab, and chicken. You sit on a mat on the floor and eat simple food by the sea. There are a few small bars by the beach such as the -popular Nikitas and the Bar Rouge. At the far east end of the beach you will find a little fishing community with a daily market selling fresh fish and prawns. There are also some "touristy" stalls selling shells and other such souvenirs of the sea. The market is small but gives an idea of the old way of life.